White Fang saw Alaska out of the corner of his eyes and growled in irritation as there was nothing he could do at the moment. Just after Alaska got on, the sled finally reached full speed. The wind began to whip at Fang's thick gray and white fur. The churning of her white paws began to slow with the pace as Master delivered some mail. Snowflake noticed Jakson watching her and felt herself go warm. Quickly, she snapped back into focus and waited for Yuki's/Master's command to go forward again. Yuki started running again. After a few stops, it was dusk. She led the sled back to their home and the master unharnessed them. "Good work all. "she called out. Master rubbed some moisture on their pads and disappeared into his home. Simon and Jakson halted and shook theor pelts in unison as they were released from the sled. Padding away from his brother Jakson nuzzled Snowflake. "Good run today wasnt it." he commented. Simon moved over to Yuki. "Yuki did I do something wrong?" he asked wondering why she had basicly ignored him all day. Streaks of dusk started to appear overhead, and the sled slowed to an eventual stop. One of the two masters began to set up camp, and the other one unharnessed the dogs before heading over to help set up camp. White Fang roamed the clearing, leaving the sled behind without saying a word to any of his teammates. Snowflake licked Master's face as he unharnessed her, and was rewarded by a soft laugh. She grinned and trotted over to Jakson, returning his caress. "Yes, it was a good run," she agreed. "No thin ice or rough ground." Scara slowed as they were called to a halt for the day. After being relased the red female turned to Alaska and snarled. "Watch your back cause you never know when Fang will punish you." she growled at the other female. 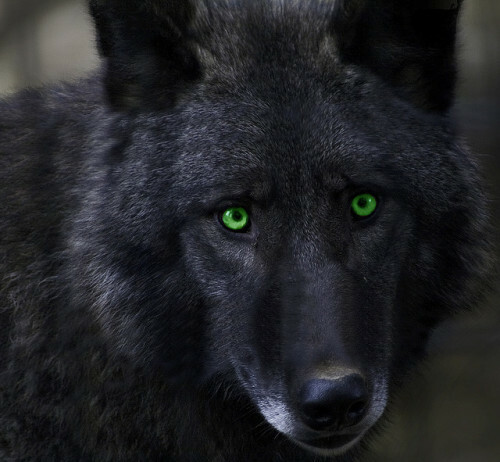 Her eyes blazed with anger and she waled over to White Fang. "Hey." she said, "Im not hungry so you can Have my share of food tonight if you want." Leaving her leaders side she loped into the woods to find a bush to sleep under near the clearing. Jakson smiled as he nodded to Snow. "Yeah it was just the right hardness in the snow as well." he said fluffing out his pelt to look bigger. White Fang flicked his ears to Scara. He didn't know why he was surprised--she'd done this before. He wanted to call out to her as she left, but instead he muttered under his breath, "Make sure you don't starve..." The voice was whisked away in the wind, drowned out by the human shouts, as if they've never been spoken. It wasn't a very gentle remark, but it was enough to show that Fang cared for the red husky. The leader huffed and snapped his attention to the outside world as one of the masters tossed a fish to him. Snowflake laughed as she watched Jakson fluff out his pelt. "You look funny like that," she commented. Her warm brown gaze drifted to Master as he began to pass out food to the dogs. Scara found a sheltering hollow under a bush a few metres away from camp. She curled up in it fluffying out her red pelt. She didnt feel like eating but knew that she couldnt miss the next days meal. She sighed closing her brown eyes and Fang came into her mind filling her with warmth. Jakson bounded over to Master as he started to hand out food. His brown eyes glowed as he was given his and Snows share. The grey husky carefully carried his crushes shared over to her. Alaska's lips drew back and she snarled back at Scara as she snarled at her. "I dont need your help, not even when it includes you little crush!" She thought bitterly with a growl and glared as the fae walked off, giving her food to Fang. She rolled her eyes and turned, stalking off away from the others before she sat down heavily in the snow, deciding to let someone else eat her food to the day. She wasnt feeling hungry or up to eating eithr. Instead her eyes trained on her masters and she watched there everymove through guarded blue eyes. Yuki tilted her head. "You did nothing wrong. "she said and pressed her nose to her cheek. The female watched as master brought some food over for them. "Wanna share? "she asked. The siberian husky sighed. As much as he pretended he didn't care, he needed a strong team to pull in the morning, and experience told him that hungry, weak dogs wouldn't please a prospecter much. So White Fang stalked up to Alaska and snapped at her face, missing her muzzle by a hair. "Eat," he ordered with a growl, "and I won't punish you." Then he turned on Scara but something stopped him. He repeated his words in a slightly softer, but still gruff voice. "Eat." Fang himself began to gobble down his own portion of sun-dried salmon. The alaskan husky smiled and ate her portion in a careful, dainty manner. She nuzzled Jakson before knocking him over in the powdery snow. Snowflake woofed softly in laughter and ran off. Dagger watches as Alaska moves away from the sled, leaving her share of the food behind her. With a sly smirk, he padded over to her food and lowered his head, about to snap up her food when he heard Fang growl out that she needs to eat. His ears flatten and he flinches, immediatly taking a step back and with a growl slinks to his own food. He picks his food up in his jaws and chews it slowly, before sdwallowing it quickly. White Fang studied Dagger for a brief moment, his icy blue eyes piercing into the wheeler. Then he grunted and finished his own serving of food. He looked back at Alaska and Scara, waiting. Yuki waited for Simon's reply. The female gazed at him.